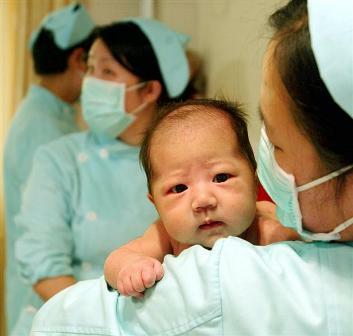 China has outgrown its one-child policy. Three prominent government scholars called this week for the government to scrap it before China’s population gets too old, too fast. Yet after 30 years, such an intrusive policy can’t be reversed overnight. China will need time to prepare for the 2.3-child world. For all the justified criticism, the programme has served a purpose. China’s annual population growth rate was 2.8 percent in the late 1960s. Now it is around 0.5 percent, barely higher than Europe’s. Countries with rapid population growth – think Egypt or Nigeria – have an unhappy record of shortages and social unrest. With 1.3 billion people, China already struggles with crop and water scarcity. Without the one-child policy, it would be in much worse shape. Yet socially the costs outweigh the benefits. The policy has been blamed for evils ranging from China’s alarming surplus of males – 118 boys were born last year for every 100 girls – to forced abortions. The birth quota remains a key target for local officials, and fines imposed for having extra children, often calculated as a multiple of income, cause tension. Economically, the case is ambiguous. More babies would mean more consumption, but the fruits would be spread among more people. Local governments’ education bills would rise, as might their tax take, but they would lose income from one-child fines, which demographer He Yafu estimates at 2 trillion yuan ($314 billion) since 1980. China would also have to rethink its already ambitious goals of self-sufficiency in grains and energy. And when it comes to labour, productivity may matter more than plenty. China’s productivity growth is still running at a remarkable 8.8 percent annually, according to the Conference Board. But output per worker is only a sixth that in the United States, and below what most of Latin America manages. Bloated state enterprises and government offices are a big factor. Efforts to improve productivity further are necessary in any event. Newly liberated couples could still choose to stop at one offspring, like their neighbours in Japan. Education can help prevent birthrates accelerating, as can pension arrangements that ensure people don’t have kids as an old-age insurance policy. But such indirect methods are far less predictable than the simple one-child policy. Ditching it is overdue, but won’t automatically fix China’s demographic problems. A Chinese infant is carried by a nurse after a dip in a pool at the "New Mother Postnatal Service Centre" in Beijing November 28, 2003. Three academics from one of China’s major think tanks called for an end to China’s one-child policy in an article for China Economic Times on July 3. Ge Yanfeng, Yu Dong and Zhang Bingzi of the Development Research Centre of the State Council said the birth control programme had contributed to a rapidly ageing population and labour shortages. Chinese authorities last month fired a local family planning official and punished several others after a woman was forced to abort her seven-month pregnancy. Feng Jianmei’s treatment stirred up outrage after being publicized through Chinese media and social networks. The one-child policy was first put in place in 1979 and officially proclaimed in the early 1980s. It became national law in 2002. The government claimed at the time of the law being passed that the policy had prevented 300 million births.